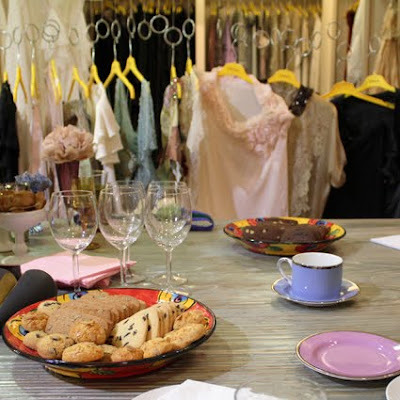 When an invitation reads tea party, just that alone is enough to put you in the right mood. 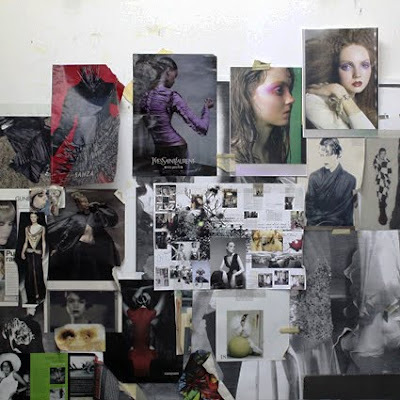 The legendary Greek fashion designer Loukia invited us to meet her and her team and to talk about fashion and her plans, last Friday in her atelier in Kolonaki. First of all, let's talk about the space. Words fail to describe it, really. 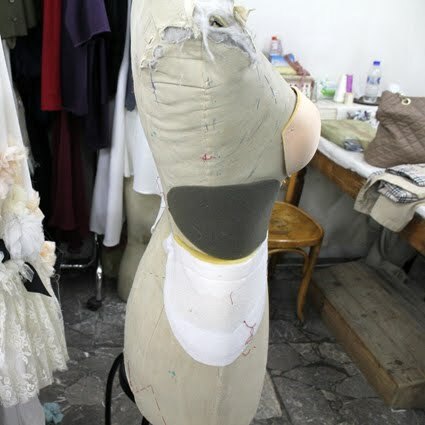 Her atelier is like something out of a different world, where everything is about creation and delicate, pretty things. It's the kind of creative mayhem that drives your senses. And that makes perfect sense, given the way Loukia likes to work. 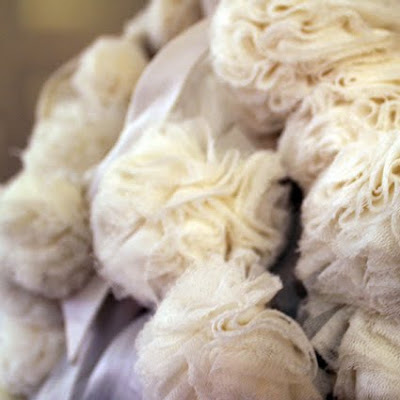 By having all her fabric scraps and materials at hand, new combinations and techniques can be discovered while in the process of making something by hand. 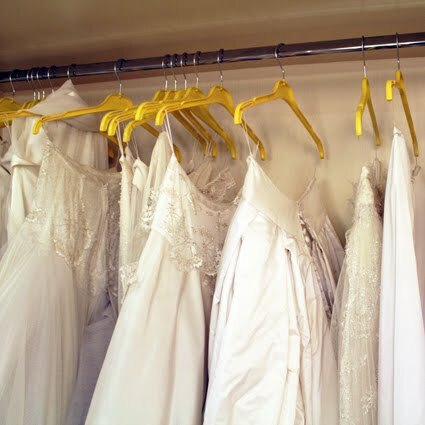 For most people, Loukia is mostly known for her fairytale wedding dresses. They are so pretty and delicate and fragile-looking. A perfect antidote to the vulgarity and brassiness we're so used to seeing these days. And did you know she also makes shoes? I didn't. And I fell hard for them the moment I saw them. Of course, some of us just couldn't resist trying on some of the pretty things around us. 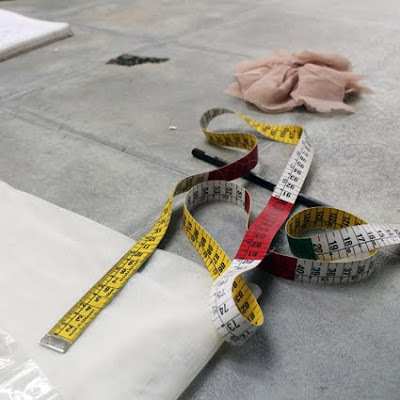 To visit the atelier for some haute couture - wheather you're a bride-to-be or just a lover of pretty dresses like us - you first have to make an appointment. 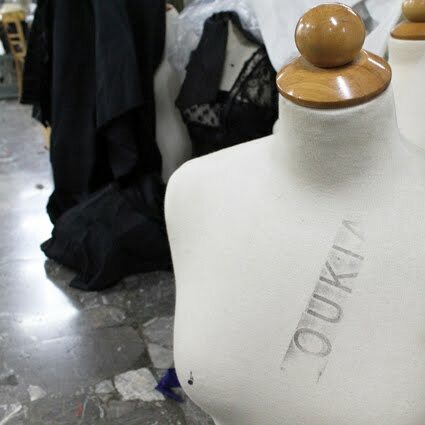 But did you know Loukia also has a shop in the ground floor of the building, where you can just pop in and buy things like silk tulle tops for less than a hundred euros? Our lovely model Christiana shows an example above. I couldn't resist trying on this lovely boiled wool coat with trois quarts sleeves and fake fur trim at the hem. Happy bloggers and an even happier Haritini as she's is wearing a purple Loukia shift dress. As mentioned earlier, Atelier Loukia is in the process of entering a new era and for that reason they are embracing the new media, so you can now like Loukia on Facebook! 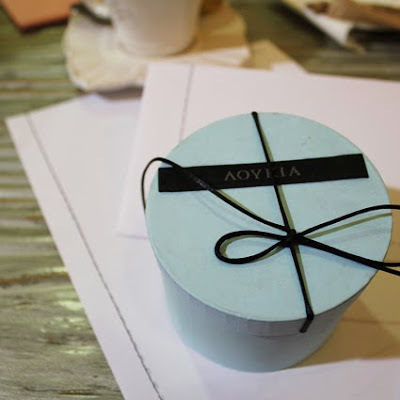 There you will also find more information about the Fête de Noël event that will be held next Tuesday, December 8th where you will be able find lovely accessories and home objects by Loukia that will make perfect presents for Christmas. 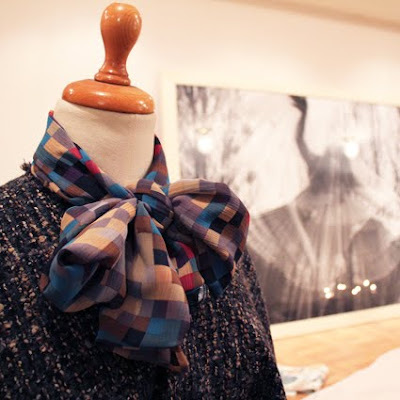 See more pics and scoops chez Loukia at Soho Symposium and Life Full of Fashion. Who's that immature person swirling in that loilac dress? Someone please tell her to grow up! So many beautiful things! I love the wool coat, so pretty! εκπληκτικη!!! κ μονο το να βρεθεις στο χωρο ειναι μια φοβερη εμπειρια! that wonderful wool coat is a beauty for sure! anyway, what I really wanted to say is that you look great with your hair down!! Oh my God, Lopi! These wedding dresses are breathtaking! !I wish I knew about this when I got married. I was looking for a fairytale dress and it was so hard. Most wedding dresses are awful nowadays and I had a really hard time to find one. Plus, the coat is AMAZING!!! 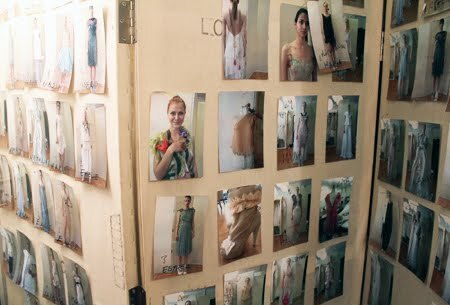 Loukia's work is always a fairytale and a mouse for all of as, the young designers..we ADORE her..